Papua New Guinea has signed a series of infrastructure deals with China as part of Beijing’s One Belt, One Road initiative, the PNG Government has announced, with an intention to create "more efficient trade corridors between Asia-Pacific and Western Asia". 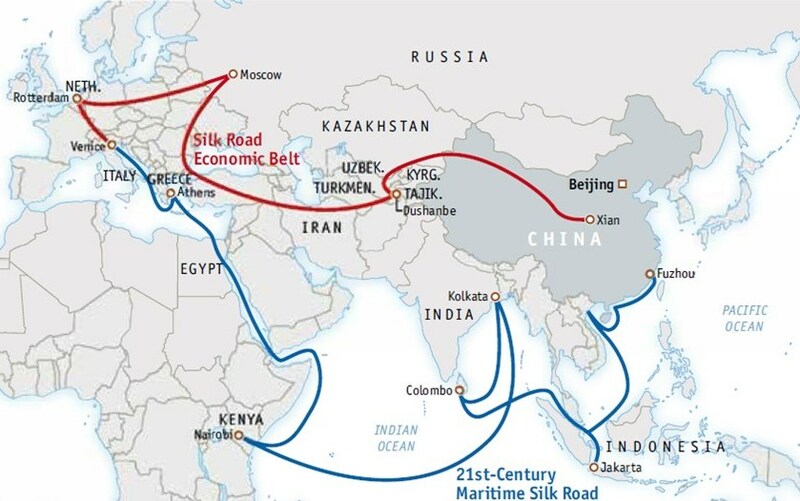 "As this [One Belt, One Road] initiative grows we are seeing infrastructure improvements across many developing countries," a statement from Prime Minister Peter O’Neill’s office read. The statement released yesterday by PNG said that three deals had been signed designed to enhance agriculture, transport and utility delivery to remote areas of PNG as well as help people engage more actively in the economy. "I thank the Government of China and the China Railway Company for their ongoing commitment to Papua New Guinea," the statement added. The announcement of the deals comes amid warnings from the Opposition that Australia is risking losing influence to global powers, particularly China, because it has failed to live up to its leadership role in the Pacific. Shadow defence minister Richard Marles gave a speech today at the Lowy Institute in which he stressed that the Pacific is Australia’s "biggest national security blind spot", and added that fears of being an "overbearing colonial power" are wrongly holding us back from effectively engaging with Pacific countries. "In considering our actions in the Pacific, often I feel there is an instinct not to act in the manner of an overbearing colonial power," Mr Marles said in his speech. "This sentiment is well-motivated, but it is wrong. And moreover it risks becoming an excuse for inaction. "Pacific island countries have choices about with whom they partner. That we will always be the partner of choice is not a proposition we can take for granted. "The country that cares the most will have the biggest impact." Speaking to the ABC’s Pacific Beat program, Mr Marles explained that while Australia has a "significant commitment" in the Pacific, in terms of thinking about the future and strategy moving forward, "we need to do more". "And it needs to be much more of a focused and mainstream part of our national security and foreign policy, as opposed to it being an [important but] niche area in terms of Australia’s world view," he said. "I would very much like to see that change where the Pacific becomes as central a feature of what we think and strategise about as any of the other key relationships we have, such as with the United States and China." Mr Marles announced at the Lowy Institute a "Pacific pledge" by Labor to be "the best friend we can possibly be". "Making a pledge to the Pacific would also let the rest of the world know that we are serious about our responsibilities in the Pacific and mean to be present," Mr Marles’ said.